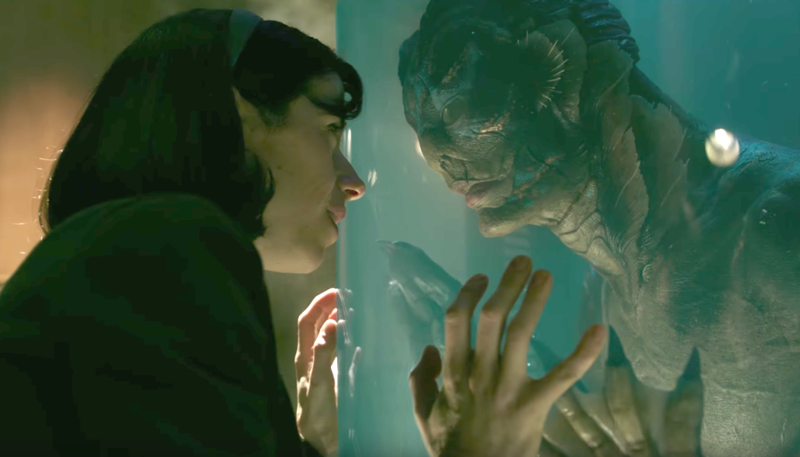 It's sci-fi spectacles vs. character work in this year's VFX Oscar race, which will be whittled down to the five nominees on Saturday. 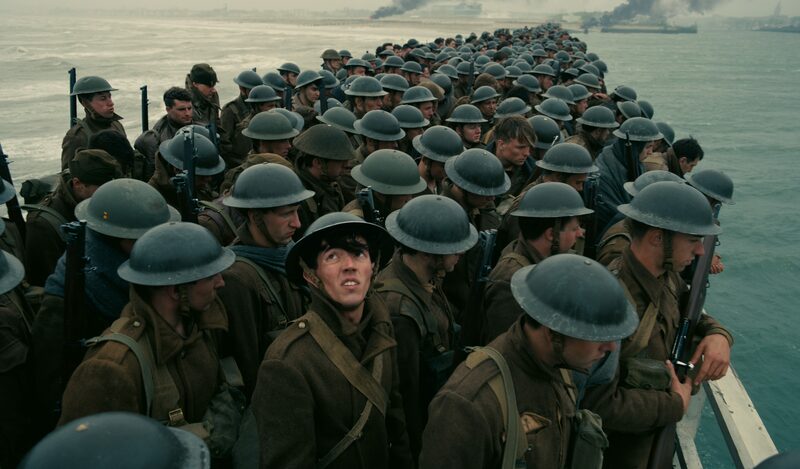 However, that leaves a battle for the final two nominations among “Dunkirk” (the lone invisible-VFX entry), “The Shape of Water,” “Guardians of the Galaxy Vol. 2,” “Kong: Skull Island,” “Alien: Covenant,” and surprise entries “Okja” and “Valerian and the City of a Thousand Planets.” The smart money’s on Christopher Nolan’s “Dunkirk” and Guillermo del Toro’s “The Shape of Water,” but don’t be surprised if Bong Joon-ho’s underdog, “Okja,” knocks one of them out. Andy Serkis’ final, remarkable performance as Caesar should finally earn Weta Digital its much-deserved Oscar for the franchise. They transformed him into a sentient chimpanzee with great nuance and emotional complexity through performance-captured animation. In the finale, he rises to Moses-like stature, grappling with his darkest demons before freeing himself and his tribe. Weta also created the fast-talking, frenetic Bad Ape (Steve Zahn), which required special rigging to handle so much dialogue and an added function in the face puppet to reproduce the actor’s bug-eyed look of innocence and anxiety. It’s a rougher movie, shot on location in the harsh rain and snow of Vancouver, and director Matt Reeves pushed Weta to achieve the most realistic performance-capture hybrid yet. The New Zealand studio created faster and more interactive models, real-time animation facial tools for instant feedback, more complex fur grooms to handle the snow, and a new lighting system, PhysLight, which simulates on-set lighting. Weta even created an amazing CG avalanche, tackling the intricacies of gas, solid, and liquid. Denis Villeneuve’s vision for the “Blade Runner” sequel 30 years on was a cold, freezing, brutalist environment for Southern California along with a red, post-apocalyptic Vegas. This was achieved under the overall supervision of John Nelson with stunning aerial plate photography and other augmentation, including the Seawall and Trash Mesa. There was also the impressive character work of the holographic Joi (Ana de Armas), companion to Ryan Gosling’s K. This was brilliantly designed by Nelson as a back-face transparency and animated by Double Negative. 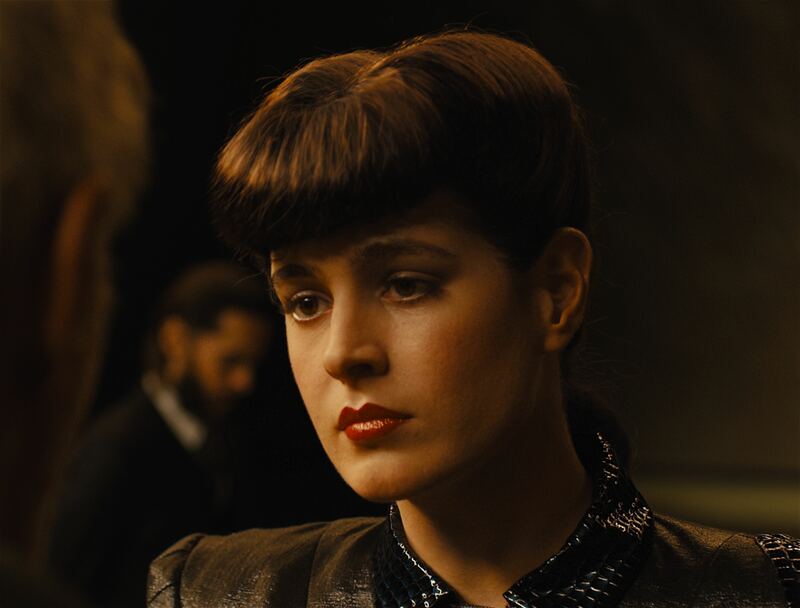 However, the most remarkable achievement was the CG recreation of the Rachael replicant played by Sean Young in the original movie.The two-minute sequence brought an emotionally stirring reunion with Harrison Ford’s Deckard that required technical virtuosity and subtle performance. Body double Loren Peta played the young Rachael (in costume, makeup, and with dotted face) and performed on set with Ford and Jared Leto (as replicant manufacturer Wallace). 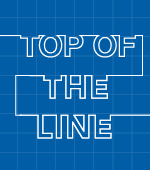 Aside from the cool space battles and an even greater reliance on practical effects, director Rian Johnson populated “The Last Jedi” with a slew of new and old friends and foes, including the adorable Porgs, the elegant Vulptices, the majestic Falthiers, the sinister Snoke, and the return of Master Yoda. Neal Scanlan, the creature & droid FX supervisor, collaborated closely with Industrial Light & Magic in San Francisco and London (under the overall supervision of Ben Morris). For the puffin-like Porgs, who inhabit the planet of Ahch-To with Mark Hamill’s Luke Skywalker, Scanlan made animatronic versions and ILM went full-CG for more expression, such as when the Porg screams in the Millennium Falcon. The crystal foxes, known as Vulptices, are exquisite inhabitants of the mineral-rich, planet of Crait. Scanlan made an anamatronic version with individual crystal hairs. However, they wound up fully CG to up the anatomy and performance. Johnson wanted the crystalline fur to look like a chandelier, which ILM in San Francisco achieved with intricate animation. Antler-like horns that extend as ears and jowly side crystals add to the fantastical face. For the horse and cat-like racing Falthiers on Canto Bight, Scanlan captured the majesty and power in his sculpt, while ILM provided intricate action for CG in combo with special effects rigs for the actors. For Andy Serkis’ performance-captured Snoke, ILM complemented the forceful power of the actor’s voice with a larger, more commanding CG model than previously displayed as a holograph in “The Force Awakens.” And for the return of Yoda (voiced again by Frank Oz), Scanlan replicated the look of the puppet from “The Empire Strikes Back” with some darker and more weathered additions, and ILM applied the Force flow and other subtle treatments. In keeping with Christopher Nolan’s preference for invisible VFX, overall supervisor Andrew Jackson and DNeg provided great hybrid support for the immersive World War II actioner about the evacuation from Northern France (shot primarily with 65mm IMAX cameras by Hoyte van Hoytema). While most of the vehicles were shot in camera, DNeg built CG versions of hero spitfire planes and ships for extension, augmentation, and correction. This included the smooth landing of Tom Hardy’s Spitfire. For the thrillingly realistic dogfights, however, the special effects team built a spitfire cockpit on a three-axis gimbal, and these shots were interspersed with the actual in-camera cinematography and miniature planes aided by invisible CG VFX. Meanwhile, for the three sinking ship sequences, real elements were combined with plate photography, CG ships, and a full-size section of a ship on a hydraulic gimbal. Additionally, the main use of CG crowd simulation was in the high and wide aerial shots that revealed hundreds of thousands of soldiers stretching far into the distance. Del Toro’s Cold War-era adult fairy tale featured an endearing performance by Doug Jones as the aquatic humanoid creature. He played him as a cross between a matador and Silver Surfer. He’s powerful yet romantic, and this informed the animation team at Mr. X (under the overall supervision of Dennis Berardi) for its full-body CG work during swimming sequences. The rest was a digital makeup approach, working closely with lead creature designer and sculptor Mike Hill and Legacy Effects, which made the prosthetic suit pieces. Mr. X first captured Jones’ on-set performance with Sally Hawkins and Michael Shannon with its scanning rig, Xscan. Then they worked on performance with the custom facial rig, the most difficult moment being the torture scene, which required the creature to convey anguish, pain, frustration, and futility. Mr. X added eye blinks, replaced the head entirely, or provided bioluminescence or micro expressions to the face. This was especially important to get the subtle performance that del Toro desired. The eponymous super-pig from the Netflix adventure directed by Joon-ho was animated with great care and emotional dexterity by Method (under the supervision of Erik de Boer). This was especially important in eliciting a believable performance from the young actress Ahn Seo-hyun, who plays Mija and bonds with Okja. An on-set puppet helped Seo-hyun get comfortable with interaction and contact. It also provided the correct physicality when replaced by the CG character, which was like a hippo and elephant with canine eyes for added cuteness. Contact and physicality were the main challenges, and the animation got very specific when the youngster touched an ear, slid her hand over a nostril, brushed its teeth, or snuggled beside it. Method gave Okja the right density and shadows. This enhanced the realism and made it such an effective CG animal. ILM went back to the 1933 original “King Kong” in designing the 100-foot gorilla for Jordan Vogt-Roberts’ “Apocalypse Now” riff. Under the overall supervision of Jeff White, the studio first used motion-facial-capture video reference (actor Terry Notary for the body, and actor Toby Kebbell for the face). Then the animation was entirely keyframed using ILM’s facial-capture system, honored last year for the Academy’s Sci-Tech Award, advancing the eye work, in particular. Kong required a dedicated two-person team for thicker and more-realistic grooming, which also demanded a battle-weary look. ILM worked with a 7-foot gorilla model and then scaled it up to 100 feet and filled in the surface area with 19 million hairs. This was complicated by water interaction on the fur, which meant close collaboration with the water simulation team on a variety of looks. Luc Besson’s eye-popping sci-fi passion project (based on the popular ’60s French comic) featured an assortment of bizarre creatures and environments (overseen by VFX supervisor Scott Stokdyk). 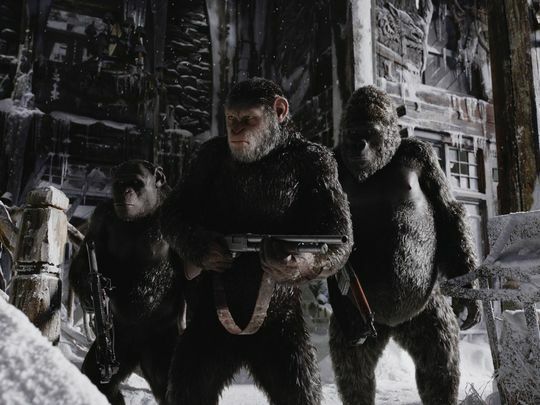 Weta supplied a host of creatures, such as the humanoid Boulans (including Bubble, the entertainer, voiced by Rihanna). But the most noteworthy were the hilarious Doghan Dagius trio. They’re a cross between a crocodile and winged elephant, with three mo-capped actors providing visual reference and voices, finishing each other’s sentences. However, Weta did total keyframe animation with great skin texture. ILM, meanwhile, created a massive 500-floor canyon, which was procedurally made with Maya, model-textured with Zbrush, and sliced into pieces with Houdini. It contained a library of storefronts, 900 props, and nearly 20 hero creatures, including the crab-like Megaptor and the ape-like Siruss (voiced by John Goodman), containing three layers of simulated mesh and connective tissue. In James Gunn’s Marvel sequel, there are a few new wrinkles, not the least of which was animating Baby Groot (Vin Diesel), a reboot of the sprouting humanoid. Framestore took the lead this time: the bark couldn’t look too aged, the face had to be simpler, and he was only 10cm tall. But Gunn wanted him to look more alien, which meant more fluid arm movements. However, making Baby Groot dance in the opening “Mr. Blue Sky” action sequence was the biggest challenge, since the camera was faster than his tiny steps. So they came up with a series of hops and cheats through camera tweaks, animation, lighting, and comic beats. Additionally, Weta was challenged with creating the interior look of Kurt Russell’s Ego, the cosmic god, along with the various transformations during his climactic fight with his son, Peter Quill (Chris Pratt). This involved complicated mathematical patterns known as fractals (inspired by artist Hal Tenny, who served as a consultant). However, not only did Weta have difficulty controlling the fractals, but it also had to make them pliable in short order. Weta also avoided an R-rating by turning down the gore. The answer: turning Ego into particulate sand. 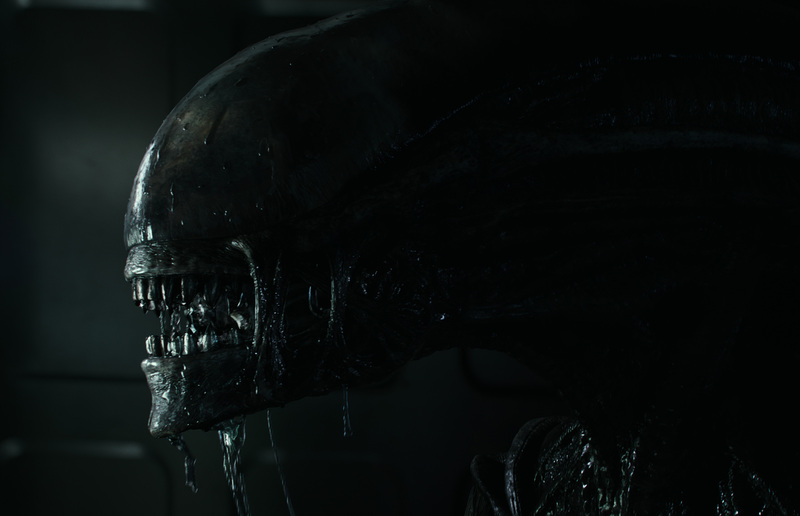 MPC helped Ridley Scott redefine the iconic Xenomorph and also created the new Neomorph. The Xenomorph contains a subtle shift between fleshy skin and a harder exoskeleton, and the Neomorph offers more humanoid qualities with elegant simplicity. Yet it packs a deadly bite with a double-jointed, protruding jaw, which strikes without warning.